The following limo services have been verified by the California Public Utilities Commission (CPUC) as being properly permitted and licensed, and are current as of 07/07/16. Premiere Sedan & Limousine Svc. 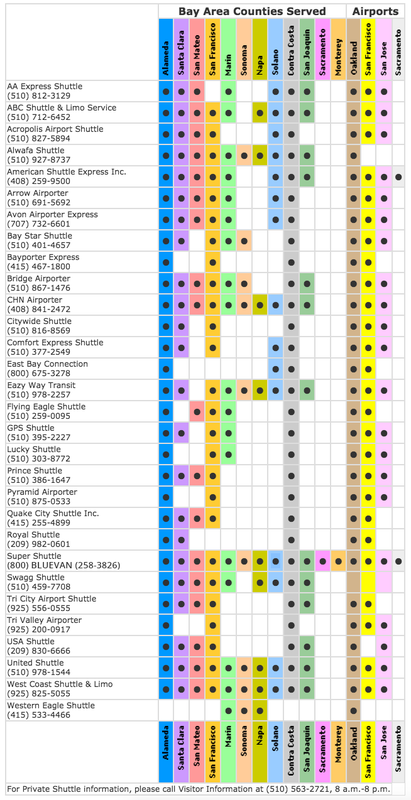 The following shuttle services have been verified by the California Public Utilities Commission (CPUC) as being properly permitted and licensed, and are current as of 07/07/16. Information on this page is checked for accuracy at time of posting. Please call to confirm your reservation.